Universal indicator. 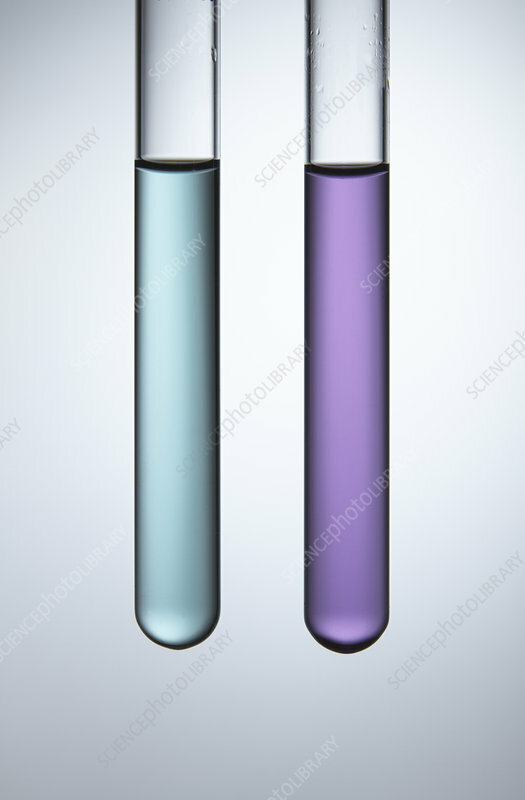 Universal indicator was added to two test tubes containing sodium hydroxide solutions of different concentrations, resulting in different pH values. Left: pH=9 (weak base), right: pH=12 (strong base). Universal indicator changes its colour depending on the pH of the solution.